"GAO's decision makes clear that the CFPB's back-door effort to regulate auto loans, which was based on a dubious legal justification, did not comply with the Congressional Review Act. GAO's decision is an important reminder that agencies have a responsibility to live up to their obligations under the law. When they don't, Congress should hold them accountable. I intend to do everything in my power to repeal this ill-conceived rule using the Congressional Review Act." While the Dodd-Frank Act of 2010, which created the CFPB, prohibited the Bureau from regulating auto dealerships, the CFPB issued a guidance document, or ‘bulletin,' in March 2013 that imposed restrictions on third-party lenders whose loans are made available to car buyers at a dealership. GAO's decision that the "Indirect Auto Lending and Compliance with the Equal Credit Opportunity Act" bulletin is, in fact, a rule may now give Congress the option to overturn the bulletin via a simple majority vote of both chambers of Congress under the Congressional Review Act. As GAO stated in its letter to Sen. Toomey, "[the] CRA establishes a process for congressional review of agency rules and establishes special expedited procedures under which Congress may pass a joint resolution of disapproval that, if enacted into law, overturns the rule. Congressional review is assisted by CRA's requirement that all federal agencies, including independent regulatory agencies, submit each rule to both Houses of Congress and to the Comptroller General before it can take effect." Congress has previously sought to kill the indirect auto lending guidance through a more traditional legislative route. On November 18, 2015, the House of Representatives approved the Reforming CFPB Indirect Auto Financing Guidance Act on a bipartisan vote of 332-96. However, the bill was not acted upon by the Senate before the end of the 114th Congress. GAO's decision may now give Congress an opportunity to revisit the matter. Read GAO's letter sent today, December 5, 2017, to Senator Toomey. Read Senator Toomey's letter sent to GAO in March 2017. In October, GAO also confirmed at the request of Sen. Toomey that a document known as "leveraged lending guidance" issued by three banking regulators was a rule and subject to the CRA. 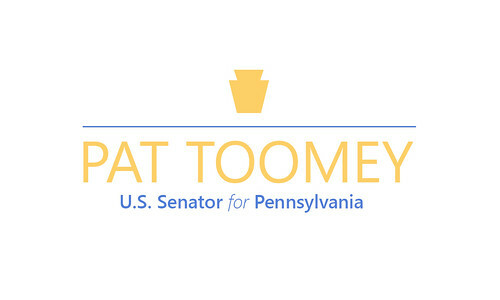 Sen. Toomey is actively working on next steps to address that guidance document as well.